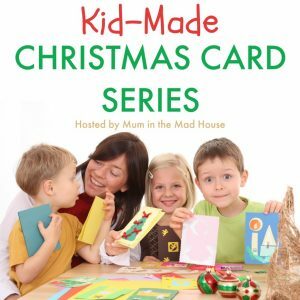 I’m joining with my lovely friend Jen over at The Mad House and joining in with the Kid Made Christmas Card Series. 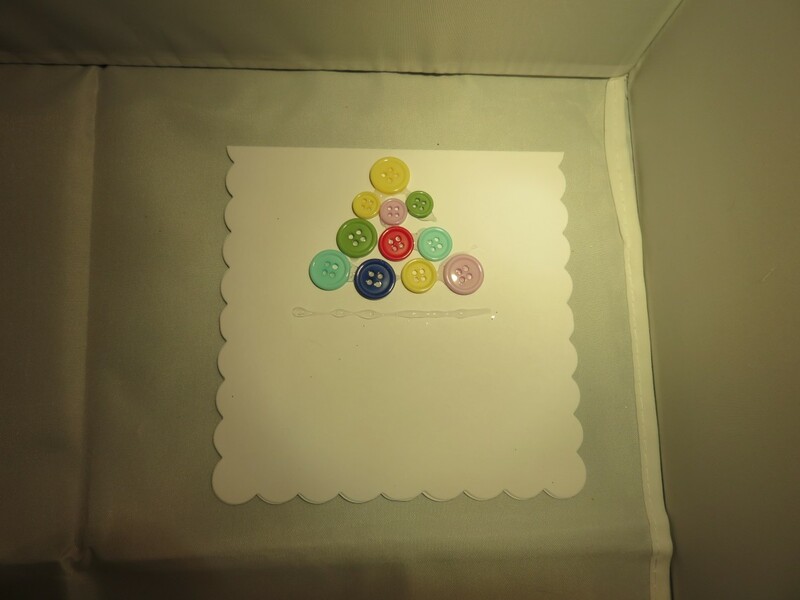 Little boy and I thought it would be nice Kids Button Christmas Card Craft and add in a little bit of sparkle, it is Christmas after all. Do let me know if you make any of these and check out the Kids Made Christmas Cards, there are some great ideas there. I bought all of these items from The Works, but these are just suggestions. We do have a large jar of buttons, but these were light and colourful and only £1. Start with your blank card, with the fold to the top. 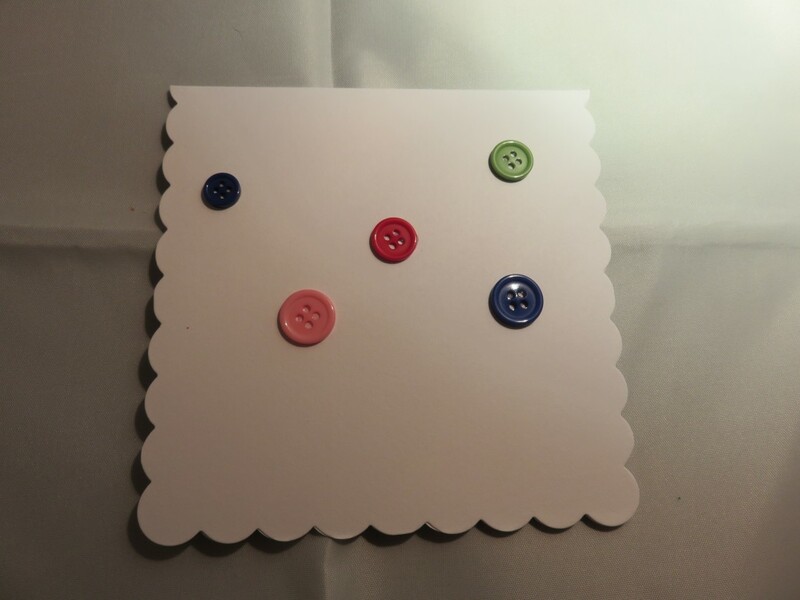 Add some dots of glue where you want your button baubles to go. Add the buttons onto the glue. 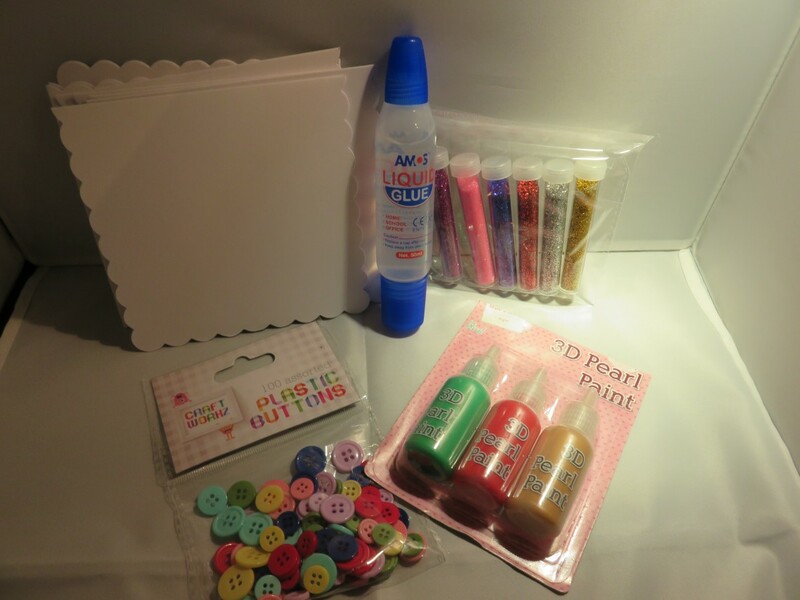 Use the 3d pearl paints, pens, paints, etc to draw a string/chain to connect the button baubles. Leave a little space at the top for the bottom of the Christmas tree. 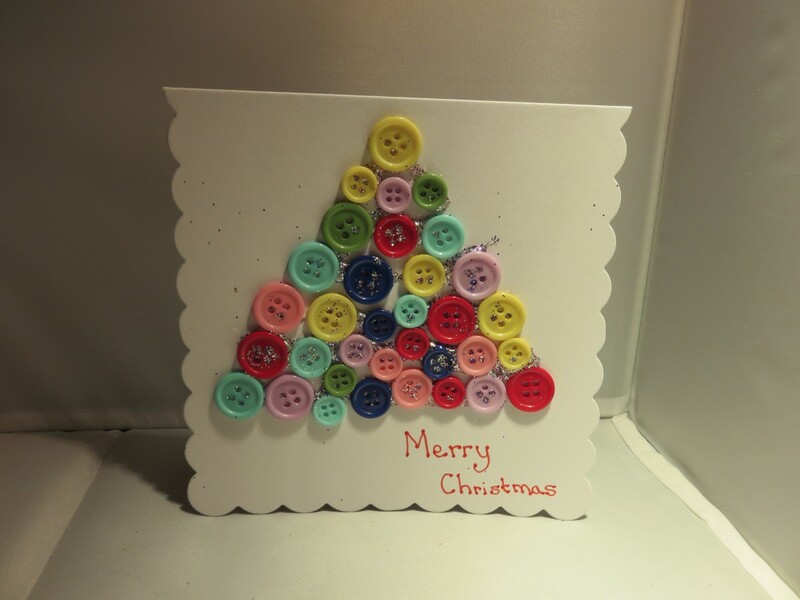 Draw, colour, paint or use the 3d pearl paints to make the bottom of the Christmas tree at the top of the card. Add in some little red bows if you want. Add in your wording at the bottom. I used Deck the Halls, but you can add in whatever you like. You can add some glitter if you want to add a little bit of sparkle. Then let your card dry. What do you think? Tyler did a great job I think. Add some dots of glue where you want your buttons to go. 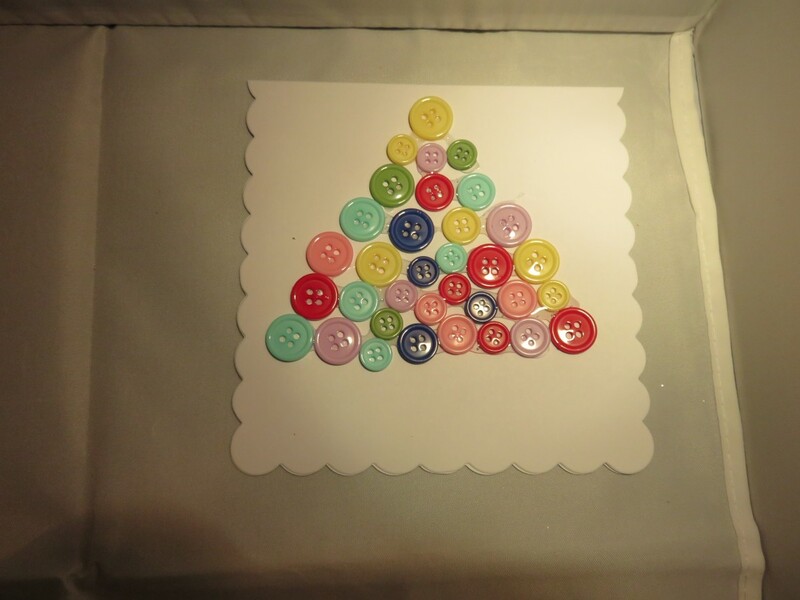 Keep adding in the buttons in a triangle formation. 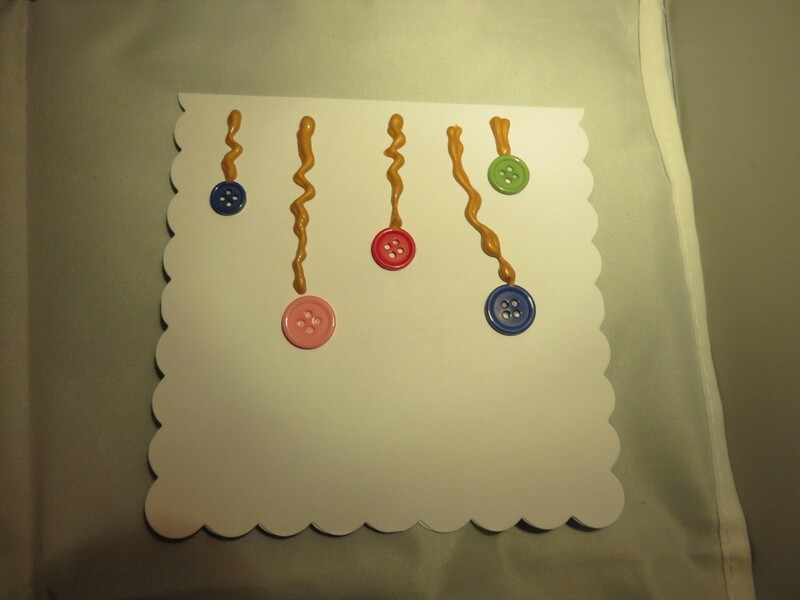 Using different size and colour of buttons. Keep gluing and adding until you feel your tree is complete. While the glue is still wet, you can sprinkle on some glitter for a sparkly effect. Write on your message on the front. I wrote Merry Christmas this time. What do you think? Aria helped with this one. Whe loved making these and had a lot of fun doing it. They can be adapted for both younger and older children. Who doesn’t love to stick buttons on. We love our homemade Christmas cards. The boys are writing their to their teachers, I these made a perfect addition to any gift. What do you think? I’d love to know if you make these. 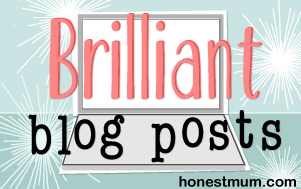 Send me the links on social media or leave a link in the comments and I’ll come and check them out. 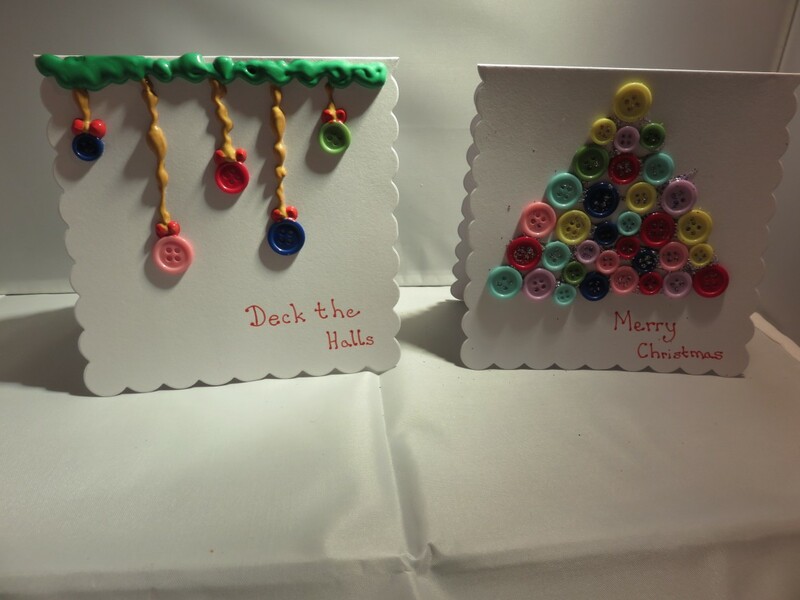 I am looking forward to making some more of the Christmas cards with the ideas that are on the list Kid-Made Christmas Card Series. Do check it out. 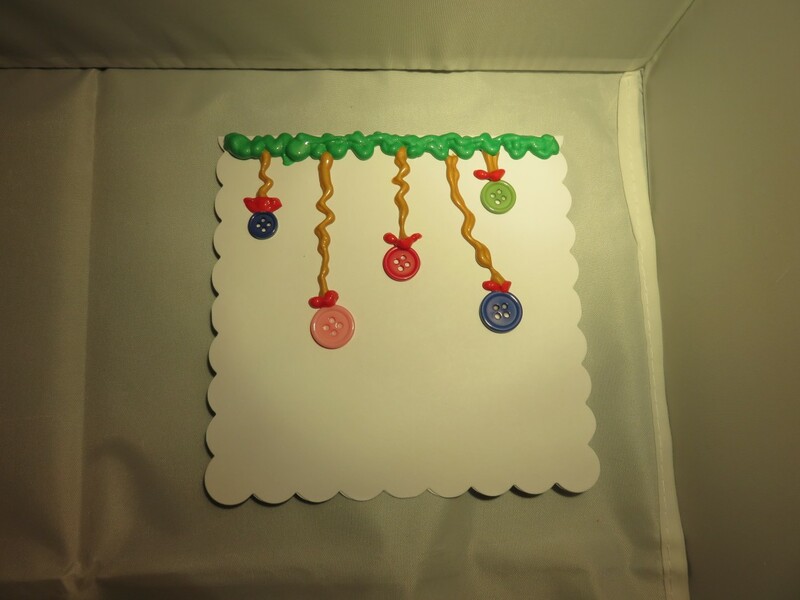 Especially Something 2 Offer – Kid Made Watercolor Cookie Cutter Christmas Card And have fun. Aww these are fab and so beautiful. Great craft idea for the kids to. What a lovely idea! Now off to find some buttons…. Oh I love them they look fab!